Wouldn't you know,Daily Mail has another story on the twins. This time they got the dad right. I enjoyed your take, Muhler, on the twin's personalities but was hoping to see more of your Mads Mikkelson! Thanks for posting the Daily Mail report on the children but it really is no substitute for additional views of a much more exciting Danish export! I agree with you Gerry. 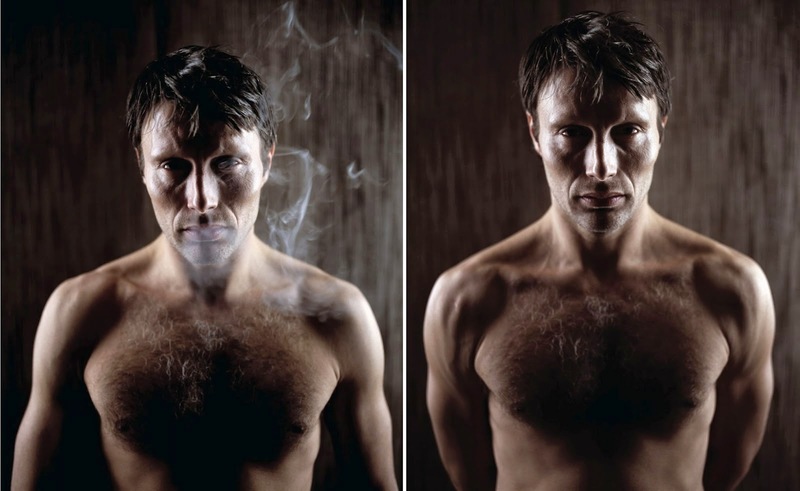 Now even just a shirtless Mads on here would satisfy most of us. Per Thornit was so close to the couple. We owe him a big thanks for helping Mary adjust to Everything. It is my opinion that on the wedding day --yes her dad was a proud man. But i honestly believe the happiest man in the ballroom was Per Thornit. His charge --Frederik was finally married to a good girl and there was no scandal anywhere. Per Thornit was beaming that day. He had plenty of time to get to know Mary by then. It was only natural that the couple being so excited about the scan would ring him right away to tell him. By now Christian at least should be old enough to appreciate the very, very dark humor in some of the Danish movies Mads Mikkelsen has appeared in. Like where he as a violent psychopath is having a bad day and is picking a fight with a cow. As we all know, cows can be sooo annoying and provocative!! Josephine has a strong resemblance to Princess Theodora as a child IMO. Happy Birthday to Princess Isabella!! The pictures taken by CP Mary! The last two photos of Bella are really good! Made about half an hour or so after the balcony show at Marselisborg. Judging from the background it's somewhere in the huge park around Marselisborg. The first photo with the dog was made in the afternoon the following day. Lovely photos of a very sweet and very pretty princess, it is hard to believe that Isabella is 12 already. Some very lovely photos of Isabella. 12 already! The children are growing so fast. Prince Christian is going to end up being much taller than his Dad. My prediction anyway. I'd forgotten that Isabella shares Queen Elizabeth's birthday. Isabella is looking more and more like her great Grandfather, the father of Queen Margrethe, I think. A lovely picture with her dog. Lovely photos of Isabella. She's growing up very quickly.